This week saw the opening of an archaeological exhibition in the Villa Wolkonsky, home of the British ambassador to Italy in Rome. 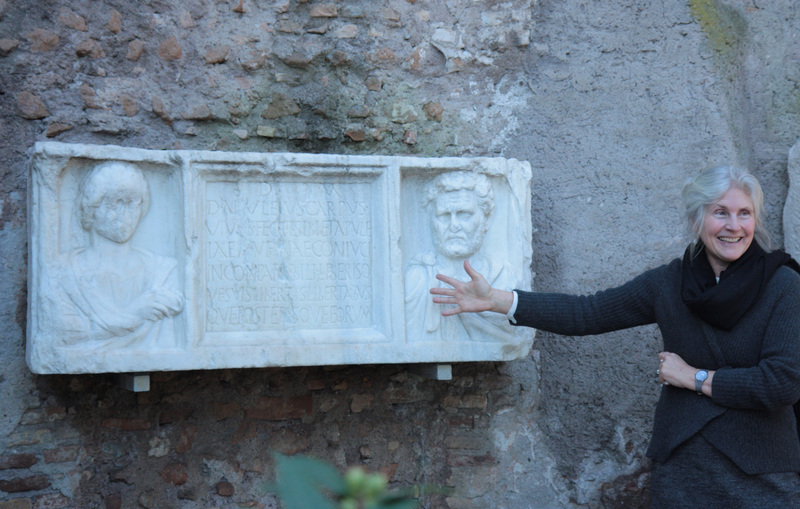 News reports covered the (re-)emergence of hundreds of marble artefacts in the wake of the ambassador’s wife’s efforts to restore the villa’s gardens. The grand opening ceremony was beautifully captured in a photo stream on Flickr. Nina Prentice presenting funerary momument CIL VI 12194. – Image source: http://www.flickr.com/photos/ukinitaly/15988834121/in/set-72157649688392291. CIL VI 12194. – Image source: http://www.flickr.com/photos/ukinitaly/15371225053/in/set-72157649688392291 (cropped and with slightly enhanced contrast). Decimus Apuleius Carpus had this made for himself while still alive as well as for Apuleia Rufina, his incomparable wife as well as their children and their freedmen and freedwomen and their offspring. The image confirms that the editors of CIL VI introduced slight misreadings on both occasions in their edition when dealing with this particular inscription. The original edition misread the adjective inconparabili as incomparabili in a normalising fashion. This mistake was corrected in the addenda on CIL VI p. 3510, when the name of the male deceased – clearly Apuleius – was mistakenly edited as Appuleio. One must note the unusual shape of the letter B in this inscription, converging, at least to a certain extent, to the shape of a lower-case b – the so-called B “à panse à droite”. 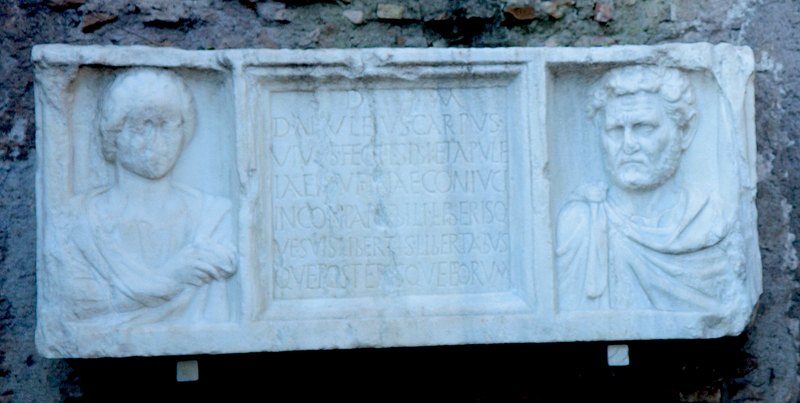 This entry was posted in Epigraphy, Prose and tagged Latin Inscriptions, Lost and Found, Rome. Bookmark the permalink.